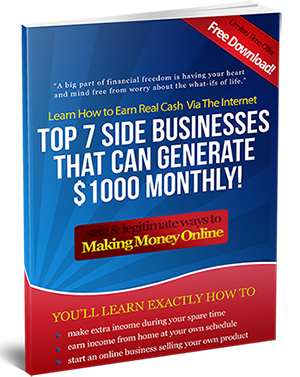 Running your very own business from home is a great opportunity to be independent. There are many advantages, you can set your own hours, answer to yourself as your own boss, work in your pajamas, work from the comfort of your own home, as well as quite a few other benefits. With all the good things about working from home, there are still some things that you need to consider before starting this venture. Continue reading to learn some of the things you need to know before making the final decision. The first thing you need to do is come up a solid business plan for your at home business. What will your business be about? What is your goal? When will you work? How will you attract your clients? You also need to think about the financial part of your business and include this in your plan. You can find some business plan templates online or you can create your own. The more information you include in your business plan the better. Once you have a solid plan, have someone who has been successful running a business look over it. They can help you fill in any gaps and make sure your expectations are realistic. It is also a great idea to read about people who have run their own home business. You can find books on the topic and you can look online to find stories and advice as well. Learning about how others have run their own businesses will give you insight. It will help you learn some things you should do and some things that you should not do. Next, start to organize your time. Working at home can be a little tricky because you are at home and not a place of business. It is important that you set the days and hours you will work and stick with it. If you know that you work better at a certain time of day, and you are able, set these hours as your work hours. If you hate getting up early in the morning and know that you can not drag yourself out of bed at a decent hour, do not set the early morning hours as work time. It is important that you can set hours to work and that you stick to it. Set aside a part of your home designated to be your home office. This can give you a spot to keep all your work supplies and a spot that is separate from normal home activities. It helps to give not only you, but your family, too, a distinction between your home life and your work life. Making the decision to work from home is a smart one. Be sure that you think it through, first, though, before making the leap. Use the tip shared here to help you make the most of your decision to be your own boss while working in the comfort of your own home.